UNIJOS Pre-Degree Admission Form Out | University of Jos (UNIJOS) Late Registration Pre-Degree Admission Form for 2018/2019 Academic Session. The sale of the Late Registration Pre-Degree Admission Form of University Of Jos (UNIJOS) has commenced for 2018/2019 Academic Session. 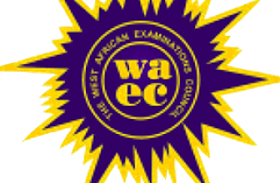 Candidates must possess WASC/SSCE/NECO/GCE ‘O’ LEVEL results or its equivalent in the following Subjects: Mathematics or Further Mathematics, English Language, Chemistry, Physics and either Biology or Agric Science or Geography or Technical Drawing or Fine Art to be eligible for admission. UNIJOS Pre-Degree Science course is strictly for science students, who want to study Medicine, Pharmacy, Nursing, Veterinary Medicine, Education, Medical Lab Science (MLS), Biochemistry, Science Lab Technology (SLT), Computer Science, Engineering, Agriculture or any single honors Degree course in Faculty of Natural Sciences and other science disciplines. Application forms are available online on the University Website: http://mis.unijos.edu.ng upon payment of the sum of Ten Thousand Naira (N10, 000.00) only through Remita. Click ‘pay Federal Government Agency’. Select “Remedial Science” as name of service/purpose. Faculty: – Remedial Science/French program. To complete the admission form, Applicant should visit the link; mis.unijos.edu.ng, look for application forms, click create account and select Remedial Science and enter all fields required using a valid e-mail address and password. After creating the account, applicants should log in again to mis.unijos.edu.ng look for ‘application forms’ and then click ‘continue registration’. The applicant MUST click the “SUBMIT” button to submit the completed application form online and waits for confirmation SMS and or email for successful application. On receipt of the confirmation SMS and or email, the applicant logs in with his/her account/details or e-mail and personal address to view his/her completed application and print a copy for reference purpose. In case of inquiry contact the Head of Department of Remedial Sciences, University of Jos on phone Number: 08036843775 or The Secretary, Department of Remedial Sciences on 08033661070). The post UNIJOS 2018/19 Pre-Degree Admission Form Out [Late Registration] appeared first on School News, Scholarship News And Job Opportunities.